Mr. Diamantoni joined Athyrium in 2017 and currently serves as an Associate. 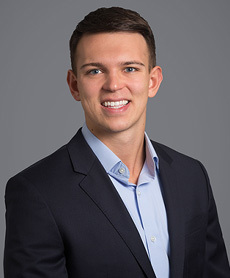 Prior to joining Athyrium, Mr. Diamantoni was an investment banking analyst at Leerink Partners, an investment bank specializing in healthcare. While at Leerink, Mr. Diamantoni worked on a number of transactions involving acquisitions, sales, partnerships and debt and equity offerings for biotechnology, pharmaceutical and medical device companies. Mr. Diamantoni graduated with a B.S. in Mechanical Engineering and minors in Biomedical Engineering and Management Science from the Massachusetts Institute of Technology in 2015.